At the December 2, 2016 Board of Medicine Meeting, the members nominated and approved Magdalena Averhoff, M.D. to serve as the Board’s Chair from January 1, 2017 – June 30, 2017. Dr. Averhoff has been on the Board since February 2012 and is currently serving her second term. She was in private practice for over twenty years and is presently the Chief Medical Officer of Jackson South Community Hospital in Miami. 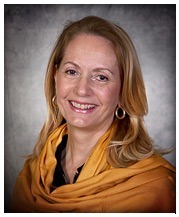 Dr. Averhoff received her medical degree from the University of Salamanca and is Board Certified in Internal Medicine. The Board also nominated and approved Brigitte Goersch, Consumer Member, to serve as the Board’s Vice Chair for the same time period. Ms. Goersch has been on the Board since January 2010 and is also serving her second term on the Board as a consumer member. 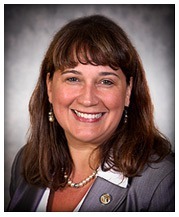 Ms. Goersch is a pilot and is the previous Deputy Executive Director of the Greater Orlando Aviation Authority. She received a Master of Science degree from Embry-Riddle Aeronautical University.